The Mobile is growing at a fantastic pace. Not just in screen size and technical specs, but in usage as well. For some businesses, the mantra these days is 'Go mobile, or go home'. If you're a webmaster, you know all too well the struggles of maintaining a mobile site. So to keep you informed of issues mobile users might be seeing across your site, our good friend, Google Webmaster Tools, has now added a new Mobile Usability Feature. The new feature shows mobile usability issues Google identifies across your website, complete with graphs over time so that you see the progress that you've made. A mobile-friendly site is one that you can easily read & use on a smartphone, by only having to scroll up or down. Swiping left/right to search for content, zooming to read text and use UI elements, or not being able to see the content at all make a site harder to use for users on mobile phones. Clickable links/buttons too close to each other. This is an invaluable feature that can help webmasters diagnose problems that mobile users face on their website. It is strongly recommend that you take a look at these issues in Webmaster Tools, and think about how they might be resolved; sometimes it's just a matter of tweaking your site's template! 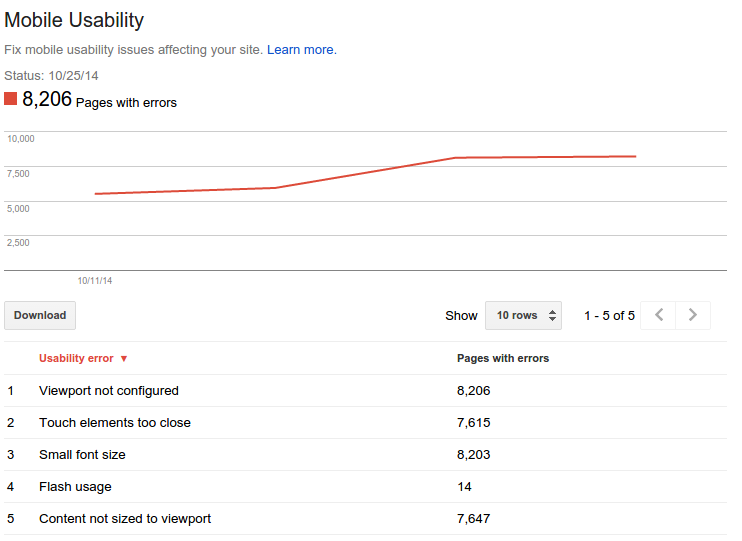 Hi, I've been getting "Fix mobile usability issues" messages from Google Webmaster Tools for one of my blogs. However, the blog is hosted on Blogger and uses their "Default" as setting how it should be displayed on mobile devices. Any idea why Google Webmaster Tools thinks the Blogger Default is not mobile-friendly and what to do about it?